X-Met Metals Ltd specialise in boiler recycling, we offer a boiler collection service all over the North West and further if required. Most heating engineers and larger companies who fit new boilers usually throw the old boilers away or let somebody local to remove them, receiving nothing back. We offer the most competitive prices for any combination boiler. We currently work in partnership with many Housing Associations and Heating Companies, in conjunction with our partners we analyse their existing working practices and where improvements are identified, we recommend new ones to ensure customers receive a maximum return for their condemned boilers, with the added benefit that customers are getting proof their boilers are being recycled in line with the green agenda. We also collect the old radiators when collecting the boiler, again giving an income return to you the customer. All materials collected are weighed on site as all our vehicles are fitted with industrial scales and electronic readers, reducing the need to have skips on site and saving customers staff storing the materials on site. We also offer customers used boiler parts when required, at very competitive prices. 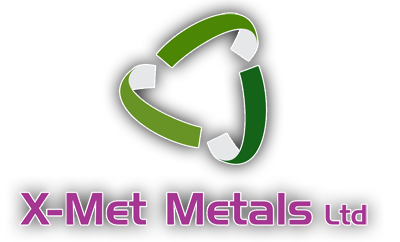 X-Met Metals have a large customer base ranging from self-employed plumber ranging to large organisations, so if you think this service could be of use to you or your organisation please contact us and we will arrange a meeting with you to discuss how our service can help you. There is no collection charge or deductions in the value of the metals for this service, and we guarantee we pay the same or more than our competitors. As you can appreciate the attraction in this service is that it eliminates all our customers resources / down time having to take the materials to a scrap yard, so giving a greater cost saving overall to you.